Fortnite (Free) Season 7 arrived last week bringing winter and flying to the game. Today, patch 7.01 arrives with the Close Encounters Limited Time Mode and something very interesting. 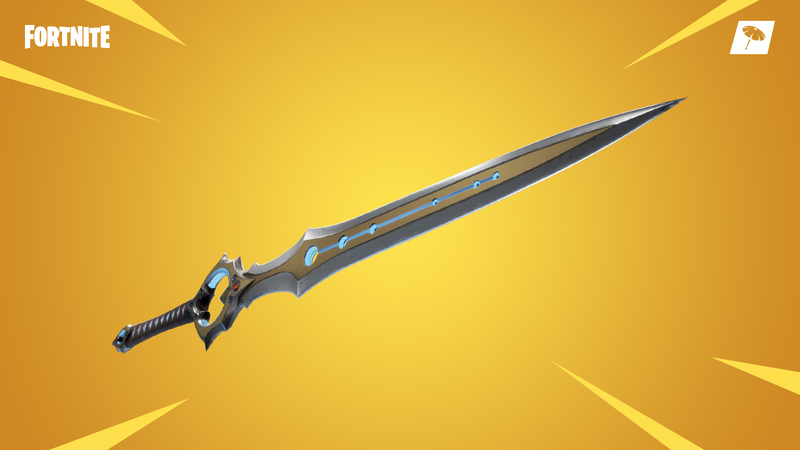 The Infinity Blade joins Fortnite as a Mythic melee weapon that can damage and destroy structures. It will be at Polar Peak. The timing is hilarious considering Epic just pulled the Infinity Blade games from new purchases on the App Store which is the end of an era. Read what happened with that trilogy here. The Close Encounters LTM has close quarters combat with jetpacks and shotguns. All shotgun variants are supported here and jetpacks and heavy shotguns are found in chests and supply drops. Each match in this LTM should be around 15 minutes long. The Infinity Blade does 75 damage in one shot to other players. Weilding this weapon grants an increased pool of max health and shields. You also get an instant burst of health for eliminating an enemy with this. Picking up the blade will see all inventory dropped and the first player to pull it out of its pedestal gets an instant heal to full health and shields. If you do play Fortnite, we have a dedicated channel in our Discord. Make sure to join our Discord channel here to squad up and get some Victory Royales. If you play only on Nintendo Switch, you can now play with PS4 gamers as well thanks to Sony finally allowing true cross play. Make sure to check out Creative mode when it arrives for non Battle Pass owners this week.